Secondary Affiliation: Audio Acoustics Lab. BOZENA KOSTEK holds professorship at the Faculty of Electronics, Telecommunications and Informatics, Gdansk University of Technology (GUT), Poland. She is Head of the Audio Acoustics Laboratory. She received her M.Sc. degrees in Sound Engineering (1983) and Organization and Management (1986) from GUT. She also received postgraduate DEA degree (1988) from Toulouse University, France. In 1992 she supported her Ph.D. thesis with honors at GUT, and in 2000 her D.Sc. degree at the Research Systems Institute, Polish Academy of Sciences. In 2005 President of Poland granted her the title of Professor. She published over 500 scientific papers in journals and at international conferences. Under her guidance, 13 Ph.D. students supported their doctoral theses and she supervised over 180 M.Sc. theses. She serves as the Editor-in-Chief of the Journal of the Audio Eng. Soc. since 2011. She was also the Editor-in-Chief of Archives of Acoustics (2007-2012). She was the recipient of many prestigious awards for research, including those of the Prime Minister of Poland (2000, 2014) for outstanding research achievements, prizes of the Polish Academy of Sciences and Ministry of Science and the Bachelor Cross of the Polonia Restituta Order (2011). She also received the Audio Eng. Soc. Fellowship Award in 2010. In 2013 Prof. Kostek has been elected as a member of the Polish Academy of Sciences. 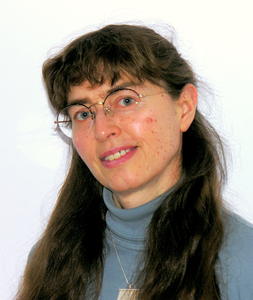 Her research activities are interdisciplinary, however the main research interests focus on musical informatics, audio signal processing, human-computer interaction, cognitive bases of sound and vision processing, as well as psychophysiology of hearing and vision.